Since I have been asked this question multiple times lately, I figured I would answer it in my first blog post as an unempl….I mean self-employed physical therapist. Many of you know that I was in private practice from 2003-2006 in Alexandria, VA. After three years of successful private practice, the (un)perfect storm of events conspired to make it clear that I needed to make some changes. 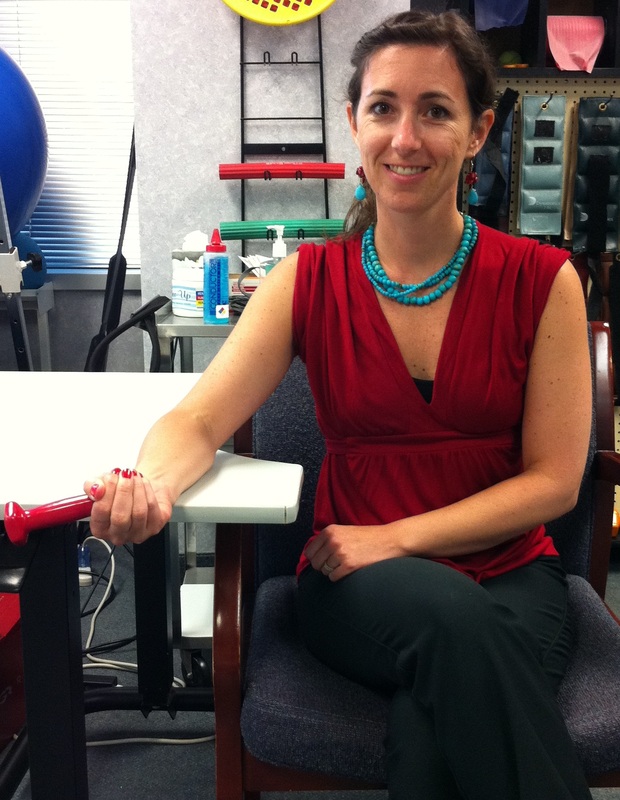 In 2006 I went to work for two of the most gifted PT’s I know at Hand -N- Hand Therapy in Arlington, VA. I learned so much from these ladies; but, in 2007 I needed health insurance and some of the benefits of a big company. I went to work for a large physical therapy company. During my time at said large orthopedic physical therapy practice, I was able to update my skills with post-op orthopedic patients and also take some amazing continuing education (insert shameless plug for Myopain Seminars). After 100 hours of classroom education and training (and a million more hours of driving and studying, not to mention getting stuck by my partner with hundreds of needles….but I digress), I successfully passed the written and practical exams to become a Certified Myofascial Trigger Point Therapist (i.e. I can now utilize dry needling in my practice). After 6 months of incorporating dry needling as a modality, I began to think outside the box again, and realized there was so much more I could do to help my patients………..but not in that setting. The large physical therapy practice I worked for was IMO the best around, so by no means is this about them. This is about the state of physical therapy (and healthcare) in general. As providers, we want to have a steady paycheck and full benefits to support our families; but, this comes at a cost. The cost is our freedom, our creativity and our own physical and mental well-being. It is nearly impossible to stay passionate about your life’s work when you treat 15 patients a day, 5 days a week, 50 weeks a year. Believe me, I tried. The sheer number of people you come into contact with a day begins to wear down your compassion and patience. It also becomes almost impossible to treat creatively or to treat each person as an individual with only 30 minutes for initial evaluations (sometimes an hour for neck or back patients) and 20-30 minutes for treatment in subsequent visits. Again, believe me, I tried. There is also a great cost to our patients in this type of setting. They usually get appointments with whatever PT is available during their specified times, which leads to lack of continuity of care, as well as lack of therapeutic relationship. The therapist may not have time in 30 minutes to do the treatment is truly best for the patient, so things are left out. The therapist may need to follow a protocol depending on the injury or surgery, which sets certain milestones for recovery, not based on the individual patient, but on the “average” patient. And, last but not least, the patient’s care is mostly dictated by the constraints of their insurance company. I treated many patients who had “20 PT visits a year” or “20 visits per condition per lifetime” or the worst “5 visits of PT.” Insurance companies also dictate what modalities they will cover, how much time you can spend with the patient, and their case managers make a determination of the “medical necessity of continued care.” Super, I went through 10 years of schooling to be told what is medically necessary by someone who doesn’t even know my patient. Awesome. So, all of that to say that I am returning to private practice because I want to call the shots again. I want to evaluate and treat patients based on what my knowledge and clinical experience tells me they need. I want to take the time to sit and really listen to my patient’s medical history, their perception of their current condition and their goals for recovery. I want to see a reasonable number of patients a day, and still have time for myself, my family, my writing and teaching, and my rock climbing and crazy, fun workouts. I want to feel passionate about what I do, so that some of that enthusiasm may rub off on my patients and inspire them to live a healthy life, too. I hope to sit down with you soon to talk about what inspires you to do what you love. There is always risk in life. I have decided to leap right into the uncertainty. Well said and very inspirational! Good luck with this endeavor. We are lucky to have you back on the independent side. Bold and smart move, Ann. Your patients will be thankful! GOOD LUCK!!! Absolutely! You are an inspiration! Very well-written, Ann! I’m really proud and impressed that you made this leap. All the best to you in your endeavor! !